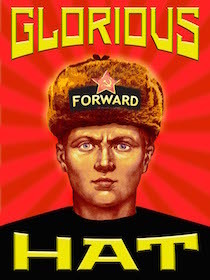 Proving the Ushanka axiom once again: Liberals lie, cheat, steal (redistribute), agitate, and encourage others to do the same. 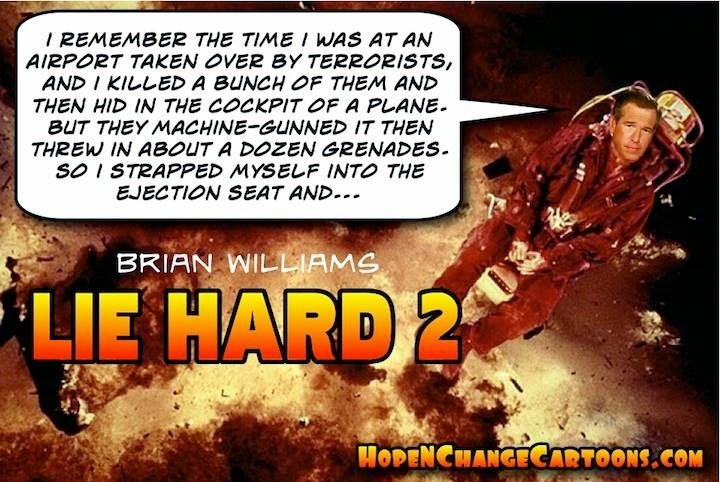 The latest to get caught is old-media man, Brian Williams. He works for old-media company, NBC. He's bragged on his bio, and to fellow lib Letterman, that he encountered enemy fire while on a US military helicopter in Iraq. The air crews from that day remember otherwise and have called him out. Mr. Williams has removed the lie from his bio and has made a lame attempt at an apology. In other words, he's sorry he got caught. Frauds. Every last one of them. 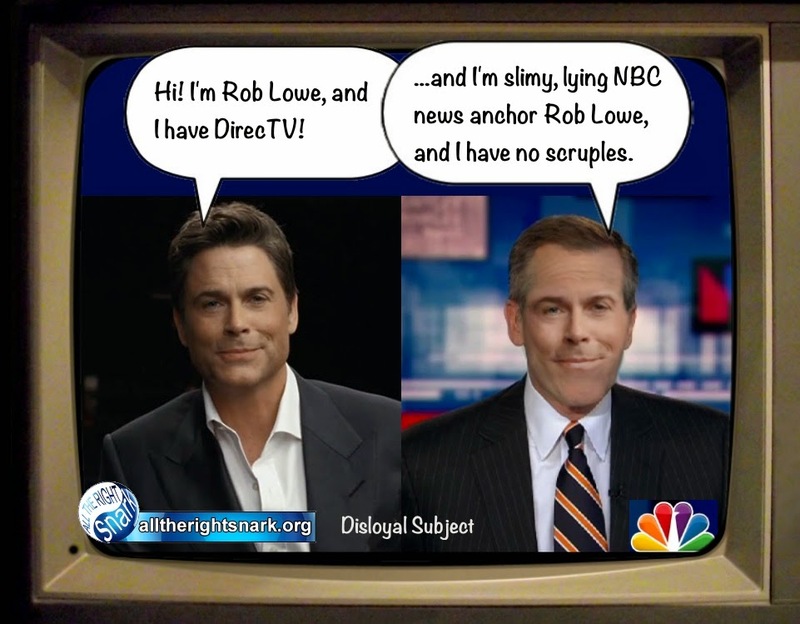 Liar, Dan Rather, comes to Brian's defense. Brian told Team America star, Alec Baldwin, that he thought he was going to die. Doug reminds us that Mr. Williams criticized bloggers because we lack... wait for it.... credibility. 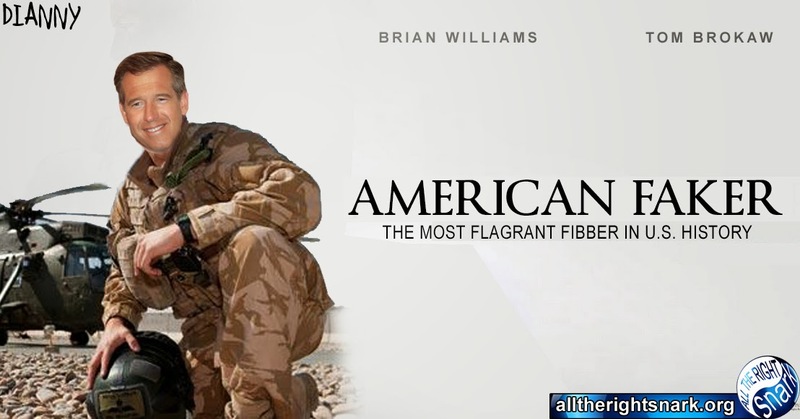 I've collected 30 Brian Williams images from FB and other blogs! More than I can reasonably share! Something a little different. Some creative writing from World News Bureau - a news source with far more credibility than Williams' NBC. Finally, somebody is cutting Brian some slack! Having also experienced the nerve-wracking, frantic confusion of being in combat, I can understand how easy it would be to forget minor details like which helicopter got shot down and whether I was in it. When bombs are flying and bullets are exploding, there's no time to take notes - every second is spent figuring out how you're going to get out of that disintegrating warbird, if you were to be in it.